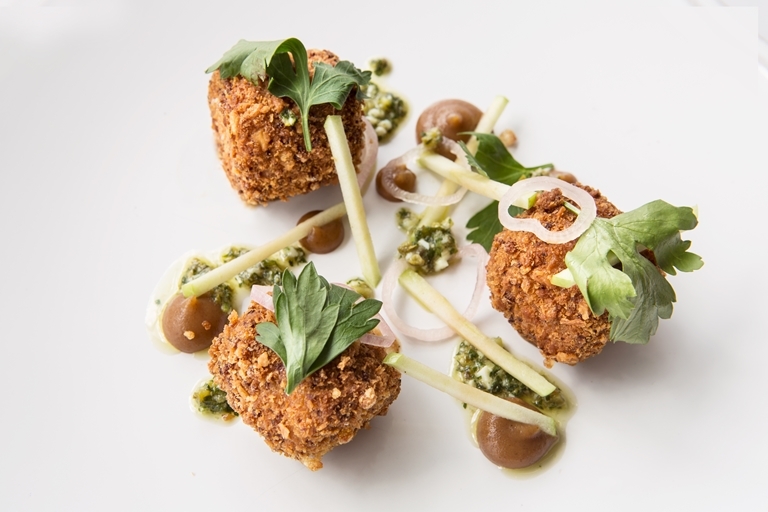 Paul Welburn's adventurous pig's head croquettes are actually a mix of slow-cooked pork jowls and shredded ham hock. These crisp, meaty bites are freshened up with crisp apple and a fragrant herb sauce. Remove from the water bath and leave to cool slightly before separating the meat, skin and fat. Reserve a third of the skin and half of the fat. Dice everything, ensuring there are no large pieces of skin as these will not be nice to eat!